What is Deuterium Depleted Water? Higher concentrations of heavy water kills fish, amphibians and insects. showed that a high level of deuterium of as much as 25% in the body water causes sterility, because neither the gametes nor the zygotes can develop. Small mammals such as rodents die after approximately a week of consuming heavy water. The cause of death is similar to that of cytotoxic poisoning (the case of chemotherapy) or acute radiation syndrome. The world’s first commercial source for Deuterium Depleted Water (DDW) was built in Romania in the late 1990s, using a Romanian patented invention. In 2008, we launched QLARIVIA – the world’s first drinking DDW with a deuterium content of 25 ppm. For many years, we have provided DDW for the producer of PREVENTA water. We send Qlarivia water to people all over the world. From East to West or from North to South, no country is too far. 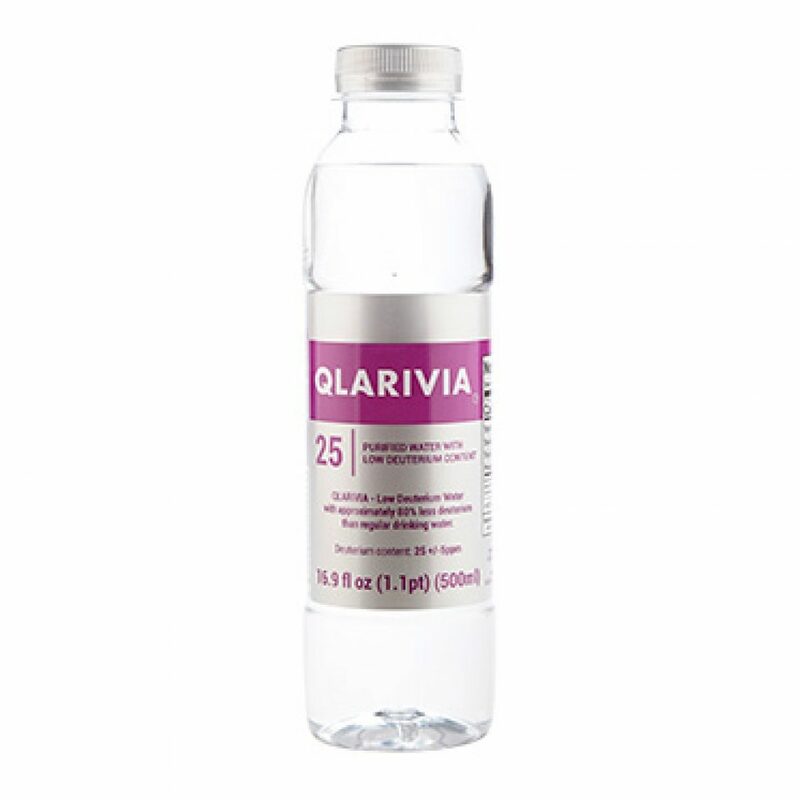 Qlarivia 25 is a drinking water with a concentration of deuterium of 25±5 ppm (parts per million) obtained by a process patented in Romania an internationally protected.